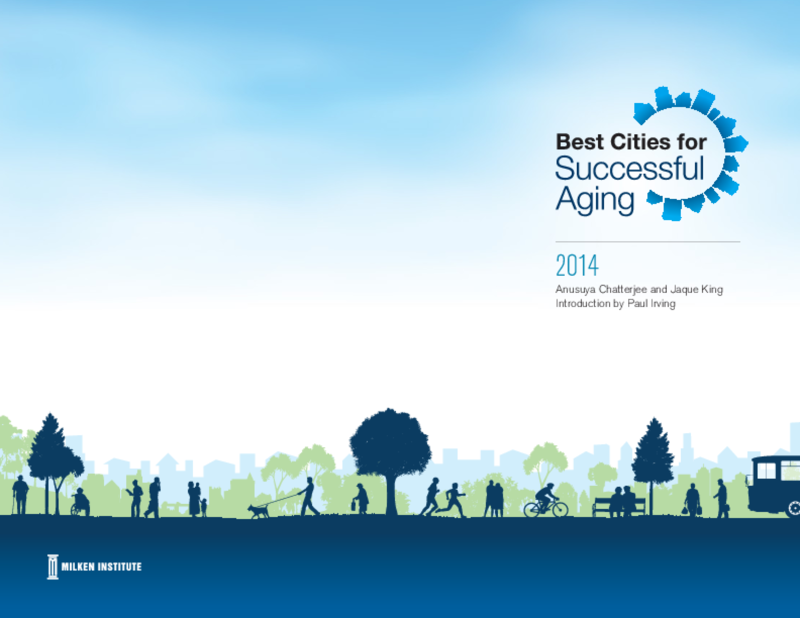 This report is a first-of-its-kind, data-driven index that measures and ranks the performance of 352 U.S. metropolitan areas in promoting and enabling successful aging. Unlike many "best places to retire" lists, the Milken Institute starts from the insight that most Americans want to age at home and in place, and not uproot themselves from their communities. In effect, the Best Cities for Successful Aging Index is an x-ray that reveals how well U.S. cities are providing the infrastructure, amenities, and opportunities both to serve and benefit from the country's fastest-growing age segment.